Have you recently opened a new gym, fitness centre or exercise studio? If so, one thing you need to realise is that there’s more to impressing clients than just helpful, experienced staff and top of the line equipment. To seal the deal and ensure that your space is as functional and attractive as possible to potential clients, cleanliness needs to be your key priority. Having clean equipment, locker rooms and weight areas will have a direct impact on your membership revenue. After all, no one wants to work out on machines that reek of day-old sweat! Additionally, build-up of dirt, sweat and germs can quickly deteriorate the padding and surfaces of machinery. They also can interfere with tracking sensors, and present health concerns for employees and gym users alike. 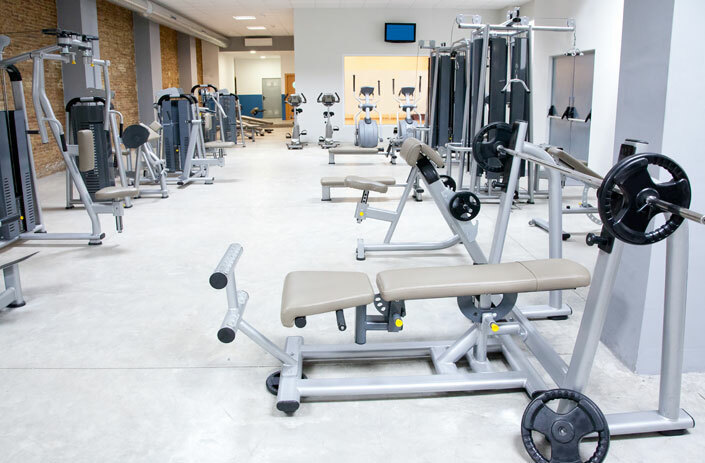 To create a clean, attractive exercise space, you need to keep a number of key products on site at all times. A quick wipe down of an exercise machine with a piece of tissue or sweat-drenched towel is not going to leave it in an inviting state for the next person to use. Specialised fitness equipment wipes offer a quick, anti-bacterial clean, and can be placed in close proximity to each set of machines in dispensers. Encourage gym users to take one of these wipes and clean the machine after they use it. Use appropriate signage in each area of the gym to promote their use, but also to communicate that these wipes should not be used on the body. Many fitness centres find it cost effective to position gym spray bottles readily about the space for patrons to use when wiping down machines. These can be used instead of, or as an additional option too, antibacterial wipes. Gym spray bottles typically contain a pre-mixed ammonia based cleaning solution which is effective at wiping away germs, bacteria and dirt. Whether you position paper towel rolls about the gym space or use paper towel dispensers, this is a very smart move. Patrons can not only use the paper towels to wipe the machines with gym sprays, but can also remove excess sweat from their face, body and hands to prevent it transferring to other areas of the gym. On any given day, there are a going to be a number of gym users who are going to forget to bring a towel, so having paper towels on hand is a must. Ensure you have paper towel bins readily available too, as paper towels strewn across the gym will not bode well with patrons. Sweat, dirt and oils can become embedded in the gym carpets, making them become worn and faded very quickly. This can really deter from the overall appearance of the gym. Keep your carpets and floors in top shape by using high filtration vacuum cleaners each day to thoroughly clean the carpets. Such vacuums deeply penetrate the carpet fibres, removing dead germs and dirt more effectively their non-commercial counterparts. The carpets should be vacuumed using a high filtration vacuum at least once daily. A good quality floor scrubber is also a must; when used after vacuuming, they will take the cleanliness of your space to the next level. 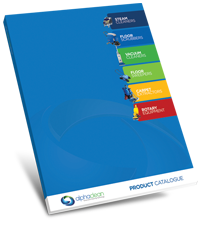 For quality, durable vacuums and floor scrubbers, you can’t go past our range at Alphaclean. It’s wise to place hand sanitisers at the entrance to the gym space, and especially in free weight and weight machine areas. Hand sanitisers instantly kill thousands of different germs and bacteria, preventing them from being transferred to a dumbbell, kettlebell, yoga mat or rowing machine. The presence of hand sanitisers will instil greater confidence in potential and current members that you take cleanliness very seriously. To ensure maximum cleanliness of your gym space, it’s important to not only operate a strict staff cleaning roster and checklist, but to also provide your members with the products and instructions to help keep the gym clean too. Daily cleaning should extend to each piece of equipment in the gym, including things like foam rollers and stability balls. Keeping the area spotlessly clean is imperative to the health and wealth of your employees, members, and the reputation of your business. It should therefore be a key priority, and management should regularly inspect that all cleaning procedures are being followed and products provided used correctly. Doing so can go a long way to increasing membership revenue, the lifespan of your machines and equipment, and ensuring continued member satisfaction.